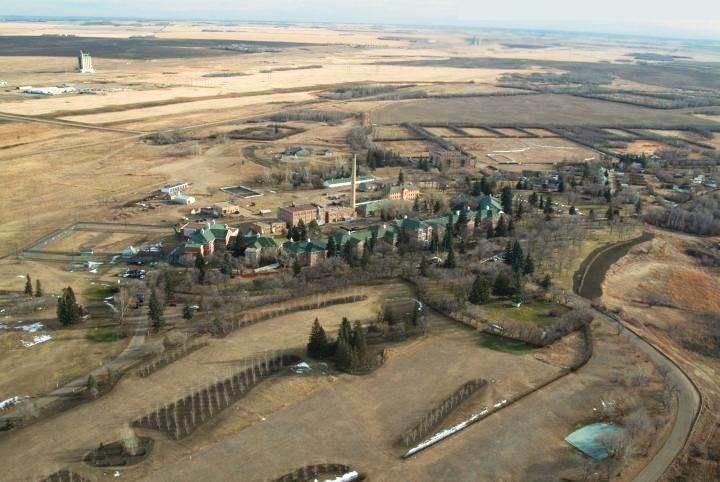 The massive century-old red brick complex now sits empty, but as early as May of 2019, the province will issue a request for proposal (RFP) for the sale or redevelopment of the old Saskatchewan Hospital site. If that fails, an RFP for its demolition would be issued in the Fall of 2019. If the building is demolished, the province would then consider subdividing and selling some of the land. There are plans to preserve the stone chapel on site. It features stonework done by a patient who was admitted to the hospital in 1921 at the age of 35 and remained a patient until he died in 1970. The province will work with the Battlefords North West Historical Society and any potential redeveloper preserve other stonework. Historic image courtesy of the Saskatchewan Health Authority. See Province of Manitoba RFP site. See related article by Rebekah Lesko in Global News.